Dar Lighting Bybliss floor lamp features a circular design base with cage design on stem in satin chrome finish and comes complete with cream shade. 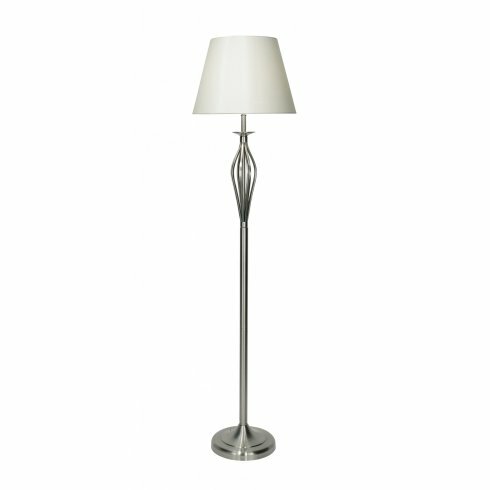 The product code for this Dar floor lamp is BYB4946. Double insulated and operated by a foot pedal switch. The elegant satin chrome finish creates a classic design and the contemporary style is ideal for traditional and modern spaces alike. This charming floor lamp is also available as a matching table lamp and both items are available to order in antique brass finish.